Are you ready for an extra dose of Omegas this week? Well, have I got a delicious smoothie that is a great source of both Omegas 3 and 6 and we can’t overlook all of the antioxidants that blueberries offer. Chia seeds and hemp seeds give this smoothie the blast of Omegas that we need to stay healthy, plus plenty of protein! As I mentioned before, this smoothie is loaded with Omegas. Why are Omegas so important? Not only do they protect your heart but they also offer anti-inflammatory benefits which can help fight many other diseases. Gotta have your Omegas! 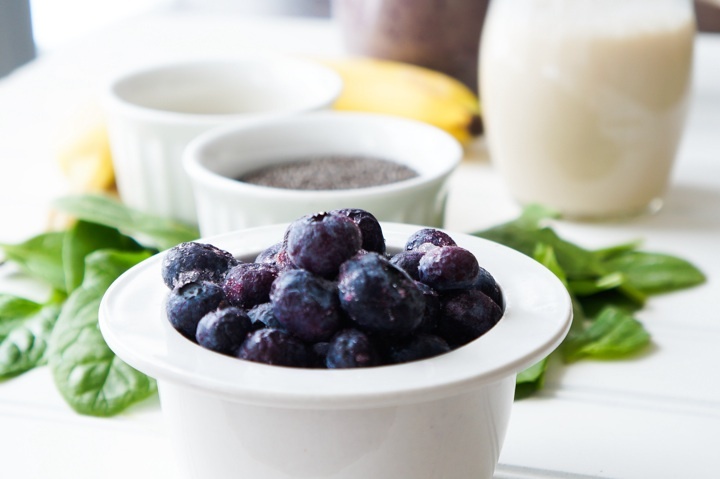 One more thing…this smoothie is absolutely delightful, bursting with blueberries and ultra creamy from the almond butter. What a beautiful combination! What a delicious way to treat your body to some healthy goodness! Tired of the same old smoothie? Start your day with an extra dose of antioxidants. 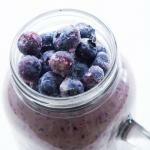 A double dose of blueberries and the creaminess of almond butter make this the best smoothie ever! Blend until well combined. Add extra water or milk if too thick. Top with some frozen blueberries and enjoy!